"There's a lot to like if you can handle the cost"
You don't need to be a computer expert to use the product. There is no coding involved. You can set up your sponsors, packages and bidders fairly easily. I love that you can run easily set up and manage an online auction in lieu of or in addition to a live or silent auction. You may establish maximum bids, set “buy it now” thresholds, etc. It is highly flexible. It's among the more expensive options. I also wish you could utilize the software for a longer period of time after the event. We needed a way to set up and manage an online and in-person auction event for a non-profit. This allows us to easily do so. And it allows us to have multiple individuals perform functions of varying levels of complexity without requiring massive training. "Does the work of 10 people!" The multiple features...from being able to save donor information year over year, to adding donations and being able to package and put them online. The correspondence is also a great feature, to be able to invite, thank, and invoice folks. I HATE that the auction catalog is only visible for a two week window. We work so hard as a committee to solicit donations - we want to be able to make them visible as soon as the items are received to give our donors some exposure and build excitement for our program. The excuse as to why it costs an additional fee are weak - the software is already housing the data and information. Make sure your team is ready for it, I got considerable push-back from other volunteers on using this product. As a parent volunteer, it solves the problem of handing off information year to year including donors. The software more importantly saves time to give our committee a one-stop-shop where we can all work in real time. We liked the simplicity of use . . . easy to find things generally. simple user interface. That we could never speak to someone when we had a question. And we had a lot of questions about the best way to set things up. Don't expect to talk with a live person. We use it for our annual gala auction - our largest fund raising event each year. The goal was to use this software and make the gala ticket and auction items sales as easy as possible. 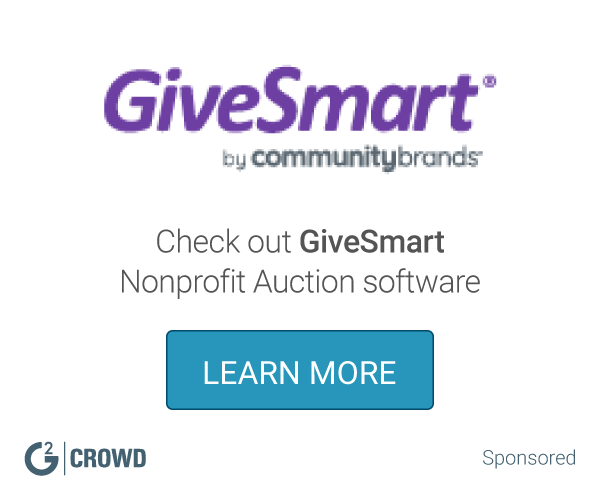 "Great for small nonprofits "
For a young nonprofit, ReadySetAuction offers a great amount of staff control for orgs that are new to auction-style fundraisers for galas etc. ReadySetAuction's interface takes some getting used to, and the user control—while it makes the software less expensive—means that multiple people needed to be trained in it to prevent issues. It helped our nonprofit track attendees, in-kind donated auction items, yields, and more for our first-ever gala. "Great software for large auction events"
Company emphasis seems to be turning toward auctions using mobile devices, which are not our choice. Consolidates recording of auction sales, invoicing and recording payments. I love that we have begun using this web-based software to keep track of our auction donations and items. It enables a team of people to update our auction information. The ready set auction team has addressed the issues that I was unhappy with. Currently, I can't think of anything that needs improvement. Keeping track of donations made to a fundraising auction. "Training staff and support staff are friendly and knowledgable"
The ability to enter auction items and print bid sheets. also, the check-in options for guests. the fact not it's not well integrated with Donor Perfect Events Management and there is some double work as far as info entry. We are saving money by not having to hire an outside processing company to handle the auction. Ease of adding and uploading people and taking reservations for events. Try the demo and then try it in a trial test. Fundraising events. It's quick and easy to use. "RSA used for several years"
Easy to check in and out guests, enter purchases at event, and track event. We are able to easily run our yearly dinner/auction. Have several people checking in and out guests at a time. I like being able to navigate easily and finding answers to my questions quickly in the help section. I dislike that my username does not save automatically. It provides a tracking mechanism for our auction donation items. I love the reports provided through RSA. Price, we pay for complete for reports, but have to pay for more that doesn't get used. It is very thorough compared to other sites, and it saves everything. General overall power of the program. It takes care of a multitude of issues. * We monitor all ReadySetAuction reviews to prevent fraudulent reviews and keep review quality high. We do not post reviews by company employees or direct competitors. Validated reviews require the user to submit a screenshot of the product containing their user ID, in order to verify a user is an actual user of the product.